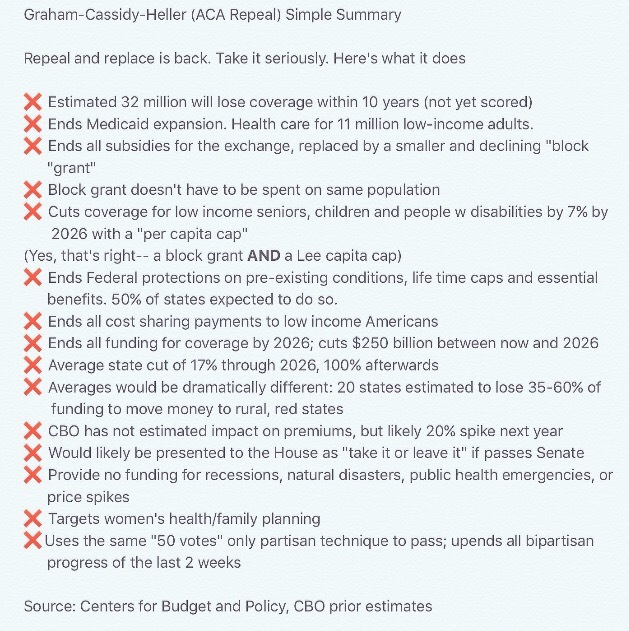 Andy Slavitt, who everyone should follow on Twitter, release his summary of the Graham-Cassidy Affordable Care Act repeal bill today. Below is his chart of basic info about the bill. There is still plenty of time for the Senate GOP to push through the repeal so the real question is whether they have the votes. Time for activists to turn up the heat. Here’s the link to an email campaign against Graham-Cassidy. Let’s send some emails! Previous Post: What’s Access Got to Do with it?